Perfectly-organized logistics are crucial, especially for companies with a large workforce or a wide range of merchandising collections. In order to ensure that that you receive your orders quickly and in good condition, we work with the shipping experts DHL and UPS. 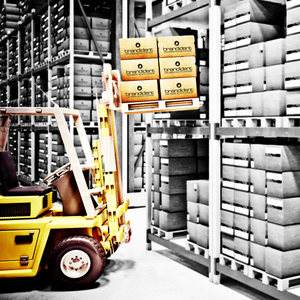 Our services also include warehouse storage, handling and picking, shipping and inventory management. As we also have an own warehouse at our disposal, we can meet all of your demands, from picking and individual packaging to special customer requirements.